Now,the hottest time of the year is coming to Shanghai.Meanwhile,a lot of foreigners come to Shanghai for traveling. For foreigners,here can be a great help on learning Chinese. In that case,our editor interviewed two foreign students, and they are very willing to cooperate. 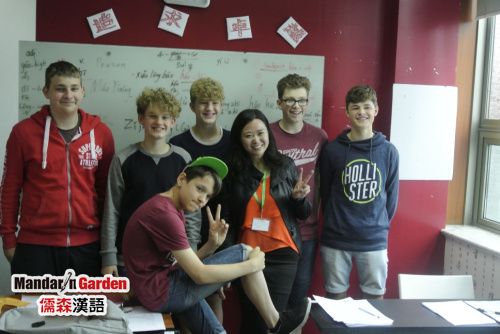 In Mandarin Garden, they not only learning Chinese intensely, but also the humorous class teacher in daily lessons can make them feel happy. Besides,during the rest time,there are activities such as painting and calligraphy which we arrange for our students because learning is always combining work with pleasure. Actually, they have already felt happy when they approaching to the Chinese culture. 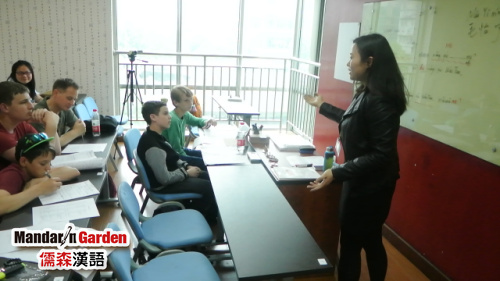 In Shanghai there are a lot of foreigners, they occasionally encounter in our work in our lives. For many of us who are willing to communicate with foreigners, this is a good opportunity for a cultural exchange. What is different between our culture and the Western’s is that they thinking more widely, while some of the Asians may be more subtle. For the foreign friends who want to be able to integrate quickly into our environment,they practice Chinese hard after work basically. Most of the foreigners are very fond of Chinese culture, of course, they also fall in love with Shanghai,a city that never sleeps. 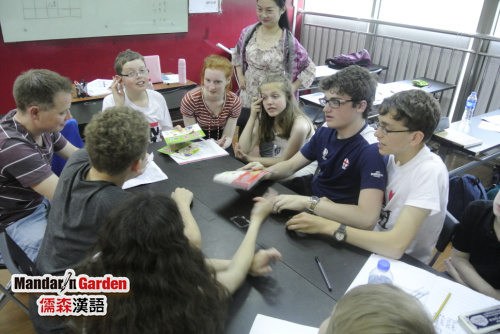 Learning Chinese in Mandarin Garden, there are a lot of cultural activities to take part in everyday. Whenever I see foreign friends learning Chinese with interest,I feel very happy because our culture is being constantly promoted. Nowadays, there are a lot of Chinese learning institutions, but only Mandarin Garden can give foreign students a full range of curricular and extracurricular learning. We have been dedicated, we have been together side by side. As a Chinese learning institution,we meet friends from all over the world just like a small window, so we have been working hard to help foreigners to learn Chinese to solve problems in their daily life, problems at work. We hope that every foreigner in Mandarin Garden will love China,Chinese culture and the kind Chinese people because of us. Prev: HSK -- The horn of war is blowing.